Emmie skipped into Dreamland of Toys, ogling one bright display after another. The jingling of toys and the cheerful holiday music drowned out the bustling crowd, and she began to sing along with Jingle Bells. She’d visited this store a million times with her mom and by herself. She knew all the staff and where all the best toys hid. She didn’t stop to see the new stuffed animals that had come in since her last visit or the mega Lego display. Today she headed directly to the dolls in the girl’s section. She hunted for a special gift for her mom. The Christmas Wish Book didn’t sell Knight in Shining Armour or any doll that remotely fit its description. Dreamland of Toys was the biggest toy store in Dartmouth and carried every toy imaginable; it had to have the doll her mother dreamt for as a little girl. “Tell me more.” The saleswoman came closer and leant on a shelf. “It’s called Knight in Shining Armour.” Emmie held her breath, hoping the woman would know about the doll. Allison shook her head. “I haven’t heard of that one. It must be new out this year. Let’s see if it’s on the shelf.” She guided Emmie to the doll section. Emmie wanted to tell her the doll had been out for years, but she didn’t want to jinx her luck. She crossed her fingers and quietly followed the saleswoman into the pink section. Rows upon rows of pink boxes lined the shelves. The colour of the product inside didn’t matter—although most were shades of pink—the packaging was bright pink to appeal to little girls. Flora the Wilderness doll caught her eye as it always did. The packaging and the doll displayed behind plastic were shades of green and yellow; pink had been eradicated. A smart move, her mother had said. Every other product blends in, gets lost in the wave of pink, but Flora stands out, catching the attention of every shopper who walks by. Her mother who managed the camera shop called it product enhancement and used it all the time. As Emmie waited patiently, she scanned the nearby shelves one more time. The doll just had to be here. “Armour, too?” Allison winked. “Of course he’d come with armour and maybe a sword to save the damsel in distress from the dragon.” After reading the data on the screen, her smile faded. “Well, pooh! It’s not in our system. Are you certain you have the name correct?” She looked down at Emmie. Emmie and Allison both turned to see a man standing nearby with a tablet in his hands. “So…do you have one?” Emmie made a silent wish. Delanie chuckled. “Let me see what I can do.” He tapped the surface of the tablet, searching one screen, then another. “I’ll leave you two to search,” said Allison. “I’ve got to get back to my post.” She gave a little wave and left. Emmie patiently waited, looking between the shelves of merchandise and the man with red hair. She didn’t want to stare at him—that was impolite—but she wanted to see the tablet screen. “Is that one for sale?” She pointed at the screen. “Oh.” Emmie lowered her eyes and stared at the floor. Even if this man found the doll, she wouldn’t have enough money to buy it. “Well. Okay. Thanks anyway.” She turned to leave and felt his hand on her shoulder. She suddenly realise he would see her mother. “Mr.—Mr. Taylor, you’re not going to tell Mom I’m looking for the doll are you? It’s supposed to be for Christmas. I don’t want her to know.” The words came out fast and furious. “Whoa! No, I won’t say a word.” He put a finger to his lips. “Shh! This is our secret.” He winked and walked away. Emmie watched him go. Now that she had someone looking for the Knight in Shining Armour doll, she felt hopeful she’d find it in time for Christmas. 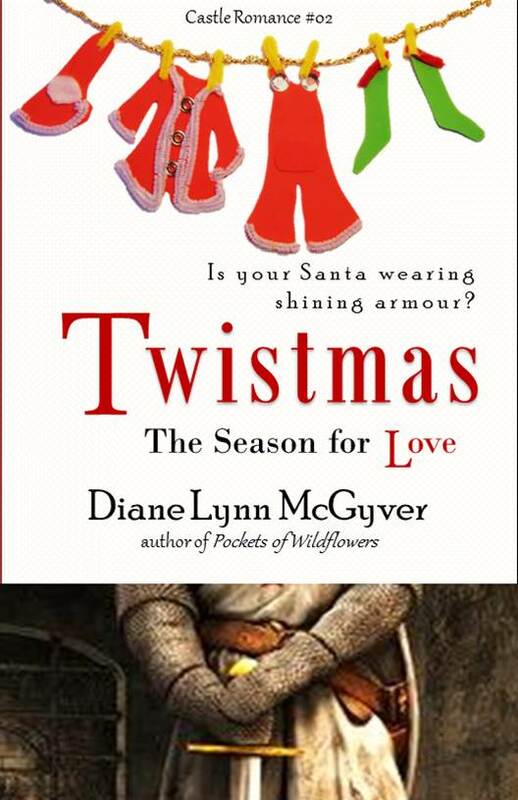 Thank you for reading Chapter 03 of Twistmas – The Season for Love.